Reclaiming the Everglades is a collaborative digital library project of the University of Miami, Florida International University, and the History Miami (formerly Historical Museum of Southern Florida) libraries and special collections. 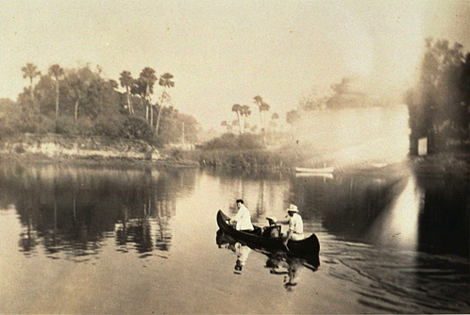 With a grant from the Library of Congress and generous technical support from the Florida Virtual Campus (FLVC), nearly 10,000 page images of primary source materials relating to south Florida environmental history are accessible here. This digitized documentary evidence spans the years 1884 to 1934 and covers topics such as the establishment of the Everglades National Park, Native American land rights, agriculture, urban development, endangered species, invasive plants, and the role of women in the modern conservation movement. The Reclaiming the Everglades collection represents only a small sample of all the archival treasures available from south Florida libraries. Users should note the names of institutions possessing original copies and contact these holding libraries directly for information on reproductions, copyright, research assistance, and reading room hours.